22 Ammo at Walmart? My Letter To Corporate! My letter to corporate Walmart, we shall see what the responce will be! This has been my experiance at the Walmart ammo counter in Seaford De. I know you probably get many complaints due to ammo shortages however… Please read this, I’m not a nut or complainer, something is fraudulent here! The Seaford Delaware Walmart is not following protocol. I had called on the phone and was told there was 22 ammo that had come in and had not been put on the shelf yet it would be ten minutes or so before they got to it. When I arrived in just minutes I was told sorry none in stock. Then another person came and said oh there were three sold and “it’s not the ammo you even called about” that said it was available online! On another occasion I was told ammo was in stock but when I arrived there was none in stock and I was told none came in!? When one of the managers, Jim, came to talk to me he told me 22 ammo has become such a problem he keeps it in his office. After talking to Jim for a few minutes he went into his office and came back with 3 boxes of 22 ammo. 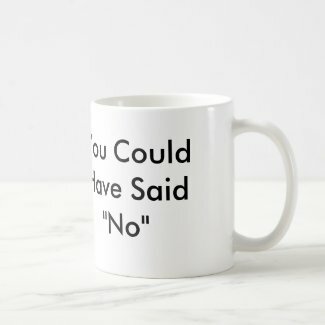 Another Walmart manager came out and told Jim “you can’t sell that it was sold already.” In Jim’s own words he said “the guy is a jerk so I’m giving them to him,” meaning me. I thought Walmart policy is you can’t hold ammo? I have had multiple experiences where I have found ammo on your website in stock and when I call from inside the store looking at it online on my iPad in front of the counter I’m told yes there is ammo. But when I walk up to the counter they tell me oh you just missed it, we had some but it was sold. I was standing there no 22 I saw was sold. I did notice while hanging around looking at fishing gear a man walked up to an associate and looking sideways (as if on the sly) say ” you got my ammo” he looked at the man and said I can’t do it right now and nodded toward me. This has continued for some time now, normally I would not bother with a complaint like this but something is very wrong here. Too many stories and too many obvious lies. Well today May 30 2015 I called Seaford de. Walmart at 6:30 am no ammo in stock. 7:30 am no ammo in stock. My wife called and asked an associate asking if they could check the upc number because it says 22 winchester ammo is in stock on the website. The associate took her phone number and called her back and said yes we have it in stock. I will be putting it on the shelf in 10 minutes or so I’m busy. When we arrived we were told that it was up front and the associate went to get the ammo. He came back and said there is none. Then the managers start arriving…. A co manager said that particular ammo has not been in stock for some time. We asked if he checked the managers office because Jim (a manager ) told us he keeps it there because it has become such a problem. The co manager told us that was untrue it’s kept in the ammo room. We explained what Jim said and he told us that was a lie. So how did we follow Jim to his office and purchase three boxes of ammo then? 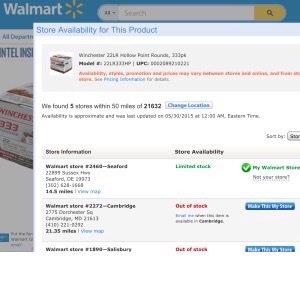 They went on to tell us that the Walmart site inventory shows wrong on ammo if it is in stock or not. My question was why does only 22 ammo have an issue on your website. As I walked out I ran into Jim and quietly explained they really needs to work on the website and when the associates are asked if a upc item is in stock and they say yes it’s very unsatisfactory for us to drive over here – it was supposedly never there even though an associate saw it and it still shows in stock on your website while we were talking to them. Jim asked me to wait he would go look, 30 minutes went by. I was snickered at by the two associates working at the sporting goods counter. Laughing and saying he just can’t take no for an answer, very unprofessional in my opinion. Jim never returned and one of the associates came up to me boldly saying our inventory is right we don’t have it. I explained Jim said he was coming back to talk with me. I was told he is busy. The manager said he needs to correct his inventory because it can show it in stock at the cash register and online, but they really don’t have it. If I had to count how many times this has happened I’d Say at least 8 or ten times. Once, when I did get to buy 22 ammo, an associate bought what was left as it was stocked on the shelf. I am an easy going guy and I can buy elsewhere and probably will from now on. I can’t support this. So that’s it we will see if Walmart gives a crap, I will update if I hear anything! Should we all run to Walmart and steel some TV’s and booze, lol. Well, like the poor guy that needed toilet paper and his corner store had been looted and when he got to Walmart he saw it had been looted, he had to become a looter too cause the stores were closed. When a man needs toilet paper, well let’s just give him the paper ok? Seriously why is life this way? The media is told by the Government to get black issues fired up, while at the same time the government can train our national guard for urban warfare on US soil. Hmm that seemed to work well, getting people stirred up about race issues and then calling for the police and military to “Back off and Let the Rioters Riot” Basically, lets see how far they will go. Looks like a good way to figure out what you are up against while doing training on Urban warfare in out areas. So let’s do it on a bigger scale, like about 22 states!!! 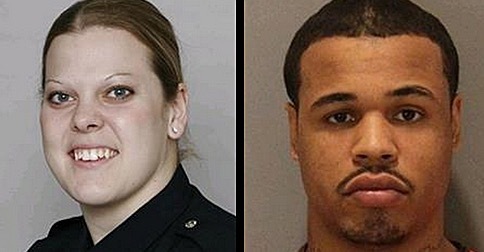 On Wednesday, Omaha Police Officer Kerrie Orozco, 29, was gunned down by a black thug only hours before she was slated to go on maternity leave. A team of officers including Orozco were reportedly attempting to serve a felony arrest warrant to fugitive thug Marcus D. Wheeler when he began firing at them. Orozco was hit, and though paramedics rushed to the scene and performed CPR on her, she sadly did not make it and died around 1 pm at a nearby hospital. Wheeler, a convicted felon and known gang member, was also hit, but he managed to survive and will get to see his family again. The same cannot be said for Officer Kerrie Orozco, who is survived by her husband and three children. What happened to Orozco is beyond sickening. She knew the risks, but most certainly did not deserve to die like this. Yet the city of Omaha continues to function, businesses continue to run smoothly and citizens continue to act with respect, decency and sanity. Unlike in Baltimore, where residents destroyed hundreds of businesses after a black man died in police custody, and unlike in Ferguson, where residents practically torched their city after an officer was acquitted for justifiably shooting a black thug, in Omaha citizens apparently trust the justice system to get the job done right. Furthermore, there’s something missing from Omaha that was present in both Baltimore and Ferguson — the liberal mainstream media. In both Baltimore and Ferguson, the liberal media rushed to the scene to incite racial tension. It goes without saying that the leftist media cares very little about upstanding white officers killed by black thugs. It doesn’t fit their race-baiting narrative, and the truth is that the only thing liberal media charlatans really care about is propping up their narrative. Please share this post on Facebook because Officer Kerrie Orozco deserves to be mourned and remembered, regardless of her race. Have your heard about the Kentucky family who live off grid with their 10 children (and one on the way)? Have you heard abut how their children were taken from them? It will be interesting to see how this story plays out. Living off grid has become very popular. In fact so much so there is a TV show that shows a family building their homestead. The show on TV shows no running water, the family building an outhouse… I guess it’s just to far for CPS to travel, oh but that would ruin the ratings! Give them back their kids, I played in the dirt, oh crap I still do! For all of the haters that comment on their FB – My Blessed Little Homestead – Go outside and turn off your electric for a week in the dead of winter and please post your survival photos. I really want you to share your skills, lol. These kids will grow to be what you will envy your kids to be- educated with more than just book knowledge or edited school curriculum, creative, innovative, free minded, unpolluted by video games, violence, gangs, or commercials. Here is their gofundme link for legal fees to help save and reunite their family. We are all supposed to decide what’s best for our children, the government should not interviene or target “off grid” families or homeschoolers. All this is just Wrong!